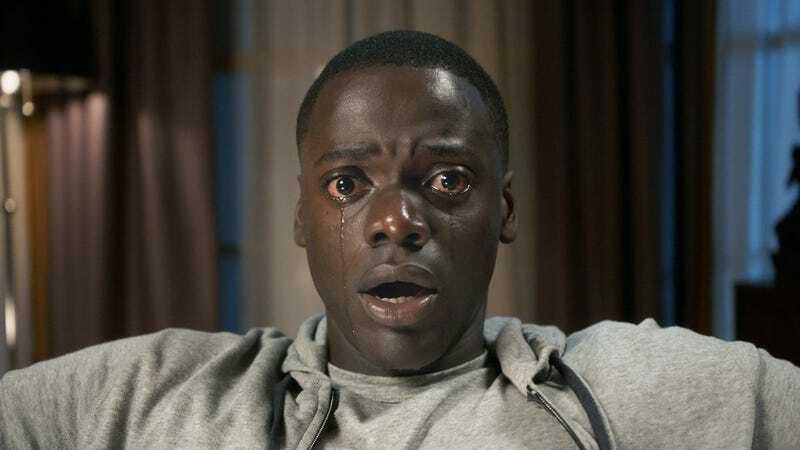 Here’s one for anybody who’s spent the last year ducking any and all popular movie conversations, so as to hide the fact that they’d somehow failed to see Get Out (or who just, you know, want to see the Oscar-nominated film again): Director Jordan Peele announced today that, in honor of his horror hit’s one-year anniversary, AMC will soon be showing the movie for free in its theaters. Accompanying the announcement with a video of Catherine Keener’s goddamn brain-melting teaspoon, Peele posted a tweet today announcing that AMC Theaters will be hosting free screenings of the film on Presidents’ Day, February 19. We can think of roughly a billion worse ways to spend your federal day off than sinking back into Peele’s ambitious and terrifying horror-satire, so be sure to hit this generous offer up. Hell, we’d go see it a third time, if we could. You can check whether any of your local theaters will be offering the free screenings here.